Is our sense of direction related to our sense of smell? While not all animals are able to see and hear, most use smells to orient themselves, find food, and avoid predators. In addition, scientists have already found that in mammals, birds, reptiles, and fish, the size of the olfactory bulb (or its equivalent) is correlated with the size of the hippocampus. 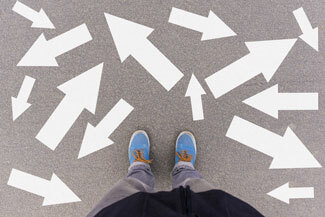 When we learn to find our way, we may employ strategies that use different memory mechanisms. Spatial memory is based on a network of areas that includes the hippocampus and the medial orbitofrontal cortex (mOFC); it involves learning the relationships between environmental landmarks and creating a cognitive map. This strategy differs from simply establishing associations between stimulus and response in the case of a daily routine (for example: “when I pass by the red building, I turn left.”) The research team, led by V. Bohbot of the Department of Psychiatry and the University of Mental Health (McGill University, Montreal, Canada), hypothesized that olfactory identification would be specifically associated with a spatial memory strategy rather than a stimulus-response strategy. According to the scientists, in a new environment, animals would rely more on the first strategy because it is more flexible and suited to the situation. The study’s authors developed an experimental protocol to prove that olfactory identification and spatial memory are related and that this relationship reflects a shared neuronal substrate. To assess navigation abilities, they first asked 57 male and female participants (average age = 22.9) to explore a virtual city for 20 minutes by wandering its streets and identifying various landmarks (cinema, school, stores, pool, etc.). This exploration phase was intended to allow subjects to learn the relationships between different landmarks by building a cognitive map. It should be noted that the experimental conditions (purposefully) did not allow participants to learn the usual routes between landmarks. Next, the researchers asked them to find the most direct routes between two of the landmarks. The volunteers were then given a maze, again with a learning phase and an assessment phase. Finally, to test the correlation between the acuteness of their spatial memory and their sense of smell, each person had to identify 40 different odors (for example, basil, cinnamon, strawberry, etc.). The results indicate that olfactory identification is specifically associated with spatial memory. Using neuroimaging, the scientists were able to show that the thickness of the medial orbitofrontal cortex as well as the volume of the hippocampus are greater in people with a keener sense of smell and direction. Since the hippocampus’s involvement in smell and navigation had already been proven scientifically, the scientists wanted to examine whether this was also true for the medial orbitofrontal cortex. To do so, they studied a group of 9 subjects who had suffered lesions to this area of the brain. They found that these patients had deficits in both forms of processing: they had a harder time with navigation and with odor identification. The olfactory spatial hypothesis thus seems to hold true in this new study. Given these findings, wouldn’t it be interesting to have perfumers participate in such an experiment to verify that (as the research predicts) they have an excellent sense of direction? Source: Louisa Dahmani, Raihaan M. Patel, Yiling Yang, M. Mallar Chakravarty, Lesley K. Fellows & Véronique D. Bohbot, “An intrinsic association between olfactory identification and spatial memory in humans”, in Nature Communications, Oct.2018.